This power reclining sofa is sure to be the most versatile and functional piece of furniture in your home. Two patterned toss pillows lend a tame pop of color to the modern grey upholstery over its tapered track arms and sumptuous bustle back. Both reclining ends not only feature power headrests, but USB charging ports as well for added convenience. 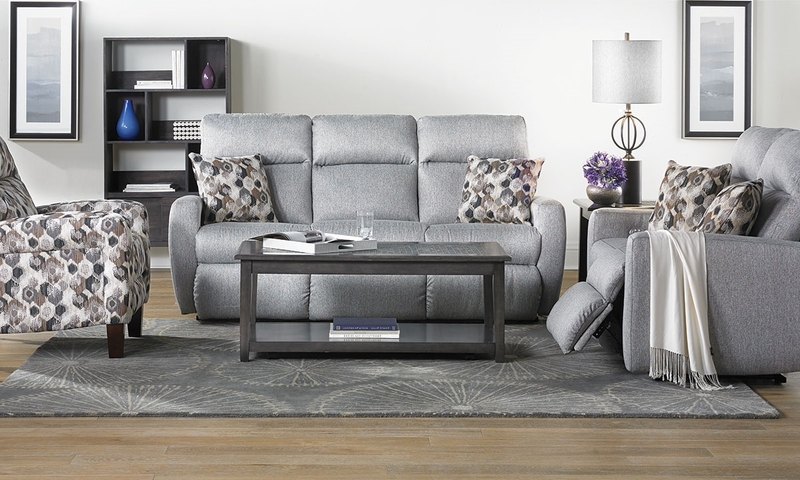 Their pad over chaise design provides extra leg support, while memory foam seating takes personalized comfort to the next level. Matching loveseat, rocker recliner and accent recliner also available. See store for details.